Notes: Born at Baltimore, July 5, 1858. 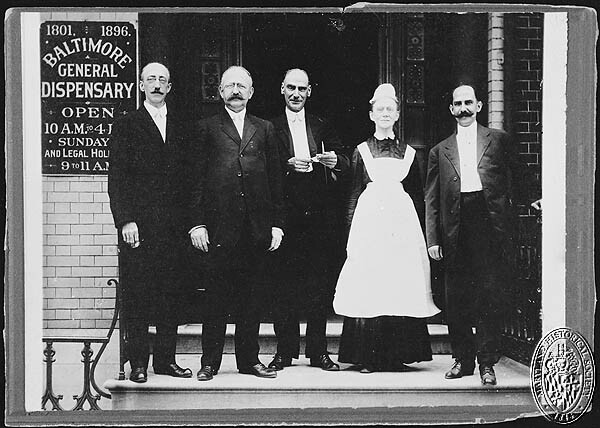 Educated at Steuart Hall, Baltimore; M.D., University of Maryland, 1880; Vaccine Physician, 1881-83; Lecturer on Diseases of the Throat and Chest, Woman’s Medical College, Baltimore, 1888-91; Lecturer on Hygiene, Medical Jurisprudence and Diseases of the Throat and Chest, Woman’s Medical College, 1891-93; Clinical Assistant in Diseases of Childre, Johns Hopkins Hospital Dispensary, 1890-96; State Vaccine Agent for Maryland, 1896-1901; President, Baltimore Medical and Surgical Society. 1701 North Caroline Street, Baltimore.